EPW025493 ENGLAND (1928). 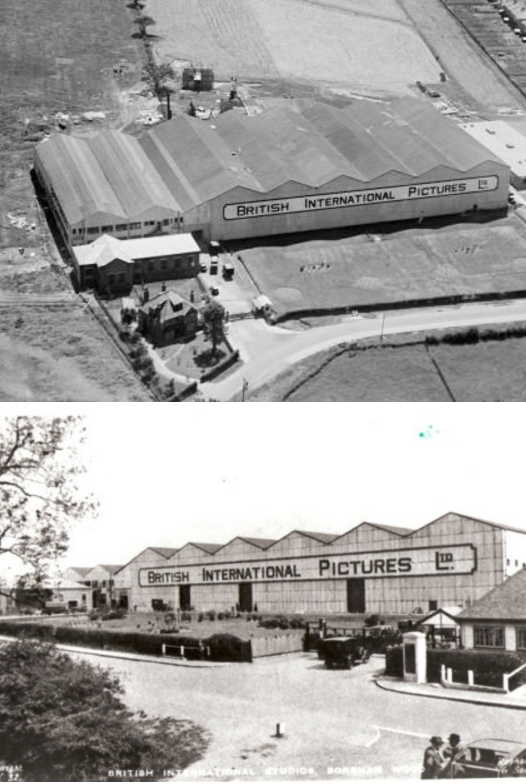 British International Pictures Film Studios, Borehamwood, 1928. This image has been produced from a copy-negative. 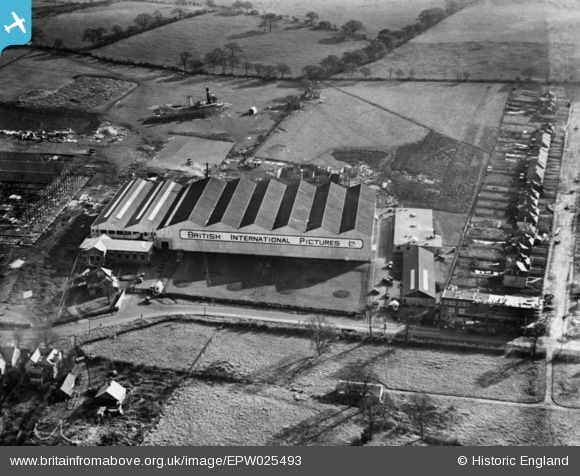 Pennawd [EPW025493] British International Pictures Film Studios, Borehamwood, 1928. This image has been produced from a copy-negative. British International Pictures (BIP), was a British film production, distribution and exhibition company active from 1927 until 1970 when it was absorbed into EMI. ABPC also owned approximately 500 cinemas in Britain by 1943. The studio was partly owned by Warner Bros. from about 1940 until 1969, with the American company also having a stake in ABPC's distribution arm, Warner-Pathé from 1958. It formed one half of a vertically integrated film industry duopoly in Britain with the Rank Organisation.